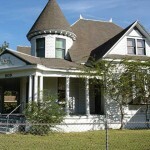 The house was built in 1901-1902 for a lawyer, by the name of N.P. (Nat) Doak and his wife Laura Reed Doak. The Doaks had two children; Mary born in 1898 and Nathaniel born in 1901. 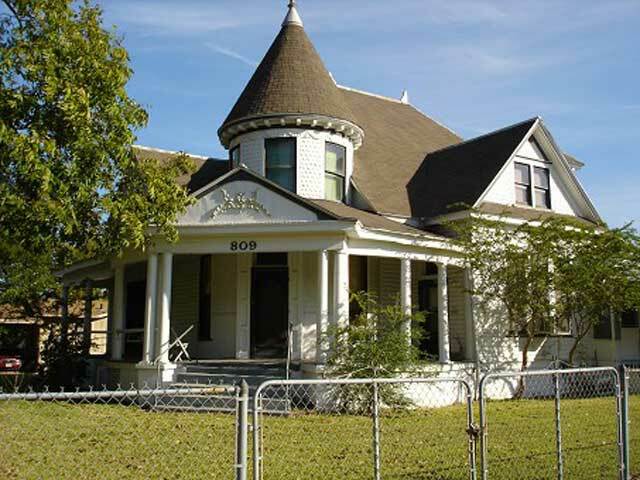 The house was built by Mrs. Doak’s father who was a builder from Honey Grove, Texas. The beautiful, handmade, intricately carved woodwork and moldings can be found throughout the house. Excessive bull’s eye moldings, not only at the top of doors but also mid-way up, ornate fireplace mantles, and carved staircase banister are evidence of the extra lengths to which the builder went in the construction of the home. 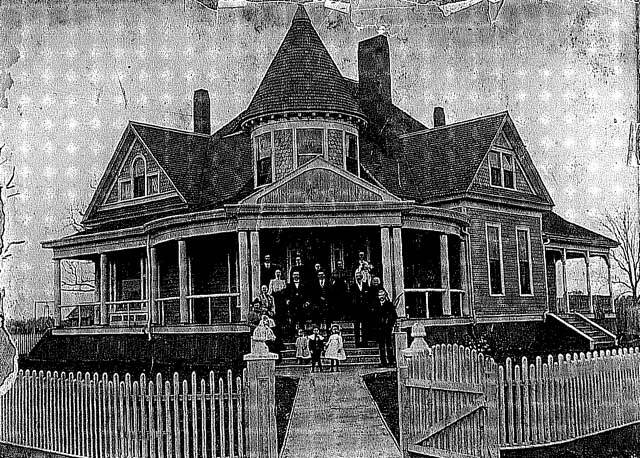 The Doak house circa 1902. That's the Doak family in the picture. Mr. Doak passed away in 1922. Some years later the Doak’s daughter, Mary Doak Hemingway, who was a school teacher, moved in the south side of the house with her husband Henry. At that time, the elder Mrs. Doak who had been living on the south side, moved to the north side of the house. A bathroom was built on the north side for Mrs. Doak. It appears that it might have originally been a pantry with the door opening on the west kitchen wall. In the late 1930’s and early 1940’s Henry Hemingway had a small store on the northwest corner of the property. Its name…Henry’s Jot-Em-Down. Henry stocked various items and groceries in his store. The name of the store depicted the manner in which he carried out his business. It operated on an honor system. When customers stopped by the unattended business for their needed items, instead of a clerk to wait on them, they just simply wrote down their charge purchases on a ticket book and departed with their goods. The store’s small concrete foundation remains on the property to this day. The elder Mrs. Doak passed away in 1948 and after her death the Hemingways rented out sections of the house to various people. In addition to renting out the north side apartment, the second floor was rented out as well. Renters from upstairs shared the first floor south bathroom with the Hemingways. Upstairs boarders entered from the back porch of the house through the hallway. The south side room on the second floor with the dormer areas was once used in the early 1900’s by the Hemingway children for slumber parties. The parlor of the house was kept private and never included in any of the rented areas. There appears to have been a wrap-around porch, original to the house, on the southeast corner. It is now the screened porch on the south side and the enclosed sunroom on the east side along with a small kitchen. In the early 1950’s James and Jolace Goode, along with their young son Rickey, rented the north section of the house for a short time. 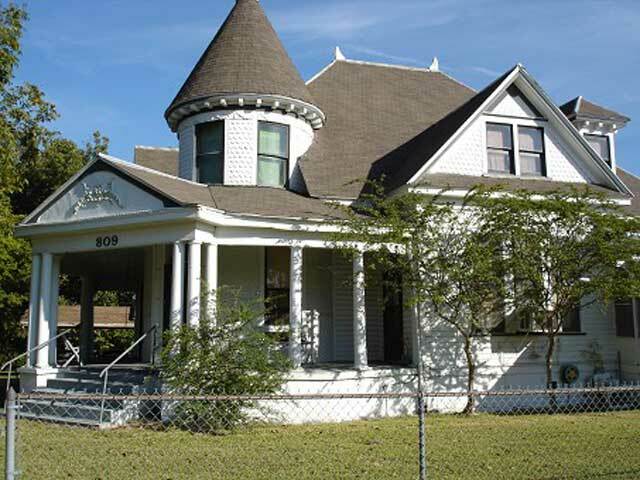 In 1955 the Goodes purchased the north section of the Doak/Hemingway property and built the home where they now live. Through the years the Goodes and the Hemingways remained close friends. The Goode’s young daughter Debra spent many hours at Hen and Miss Mary’s house just hanging out with the lanky, balding, cigar-smoking old gentleman who was not only her first best friend, but more like family. Mary and Henry Hemingway passed away in 1967 and 1968 respectively. In 1969, James and Jolace Goode and King and Esther Silva purchased the house from Burke Robbins Doak, widow of Nathaniel Doak. King and Esther, step-father and mother of Jolace Goode, lived in Reno, Nevada at the time. For a year or so after the purchase the house was rented on the north and south sides as apartments to two or three families. However the Goodes decided to discontinue renting the property our of concern for the preservation and integrity of the property. 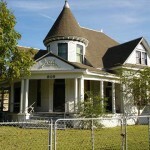 Throughout the following years the house was used mostly when King and Esther visited from Nevada. In the late 1970’s the Silvas decided to retire to Texas. During the annual visits they began moving their belongings back and moved into the house fulltime in 1979. 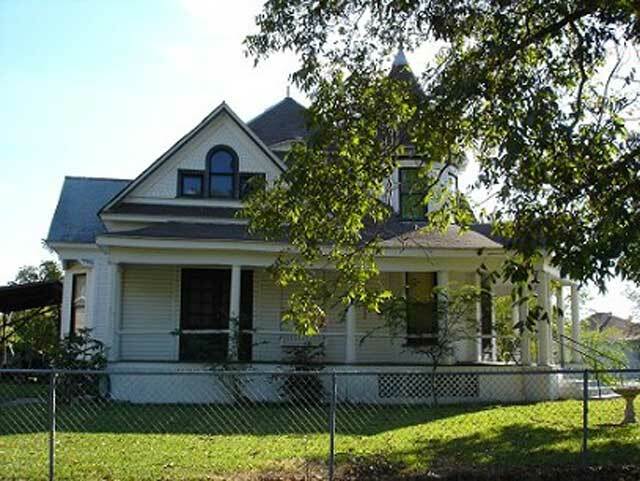 In the 1980’s David and Debra Good Floyd used the north side of the house as private quarters for their visits to Clarksville with their daughter Susan. David lived there for a short time in 1988 and 1989 after transferring with his job to northeast Texas from the Dallas area. Eventually, Debra was able to join him and they moved to their present home north of Paris. 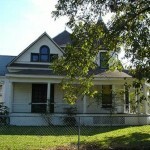 The Silva’s granddaughter, Debra Goode Floyd, acquired the Goode’s interest in the property in the mid 1990’s and the Silva’s interest in 2001. The Silvas lived in the house until they passed away in 2003. Daniel and Carey Meyer purchased the home from Debra in December 2008. They have already begun renovations. 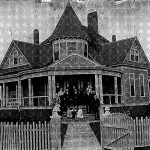 The Doak house circa 1902. That’s the Doak family in the picture.